A Southern California native and All-Conference baseball infielder, Darren Nicholson graduated from Chico State University in 1996 and went on to a successful 15-year career in sports management and business technology. Darren was a scout for the Pittsburgh Pirate's organization from 1999-2001, which led him to recruit for two of the largest baseball showcase companies, Perfect Game and Baseball Factory. In 2002, Darren co-authored the baseball conditioning book, Diamonds and by 2008, was scouting for the Sports One Agency before starting his own agency. Darren launched Athletic Placement Services (APS) which became a leading amateur sports agency within 5 years. Darren's work integrating sports recruiting, business management and information technology has appeared in the Contra Costa Times and Diablo Magazine. Darren continues to be an industry expert, speaking at national sports venues such as the Fall Classic and Junior Olympics. Darren is a member of the Danville Chamber of Commerce, Diablo Valley Young Professionals, and Fast Company Magazine Circle of Friends and is a supporter of Athletes in Action and the Make-a-Wish Foundation. 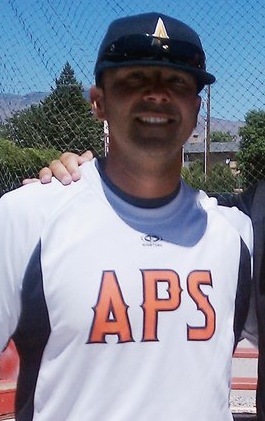 He actively coaches his summer APS baseball program, where he continues to recruit and mentor the players of tomorrow.